Offer is valid from 12 midnight, AEST, September 1, 2018, to 11:59 p.m., AEST, September 30, 2018. 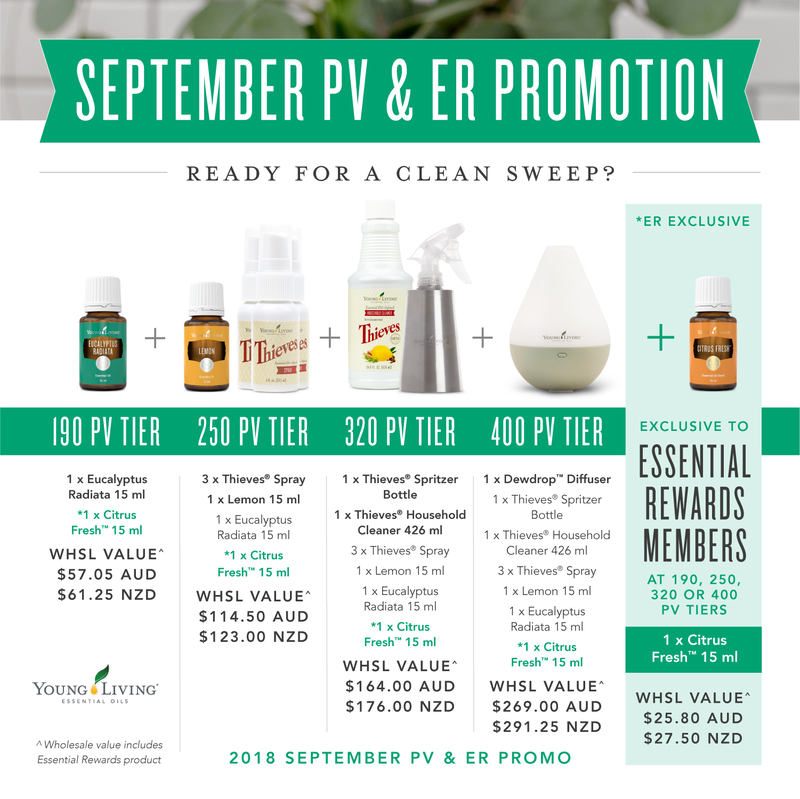 Limit of one free Eucalyptus Radiata 15ml, Lemon 15ml, 3pk Thieves Spray, Thieves Spritzer Bottle, Thieves Household Cleaner and Dewdrop Diffuser per qualifying Standard Order. Limit of one free Citrus Fresh 15ml, Eucalyptus Radiata 15ml, Lemon 15ml, 3pk Thieves Spray, Thieves Spritzer Bottle, Thieves Household Cleaner and Dewdrop Diffuser per qualifying Essential Rewards Order. The free Dewdrop Diffuser does NOT come with two free 5ml oils.